If you were a boy named Henri Matisse who lived in a dreary town in northern France, what would your life be like? Would it be full of color and art? Full of lines and dancing figures? 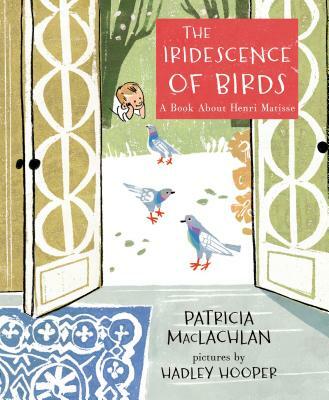 Find out in this beautiful, unusual picture book about one of the world's most famous and influential artists by acclaimed author and Newbery Medal-winning Patricia MacLachlan and innovative illustrator Hadley Hooper. Patricia MacLachlan is the author of many novels for children, including the Newbery Medal-winning Sarah, Plain and Tall; Baby; Waiting for the Magic; and The Truth of Me. Among her picture books are What You Know First and Lala Salama. She lives in Western Massachusetts with her husband and her old dog, Emmet. Hadley Hooper works as an editorial illustrator for numerous magazines and newspapers. In 2011 she illustrated Here Come the Girl Scouts! by Shana Corey. The Iridescence of Birds is her second picture book and first for Roaring Brook Press. She lives in Denver, Colorado.